I feel like the nesting has begun…7 weeks to go!! 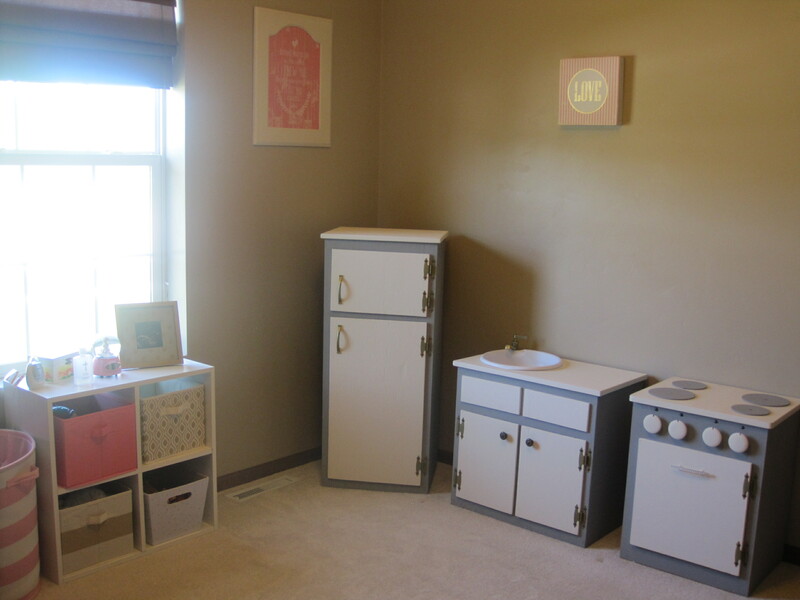 Although I seem to have no energy I have all of these great ideas of home projects I want to do before the baby comes. One down and we will see what motivation I have left. 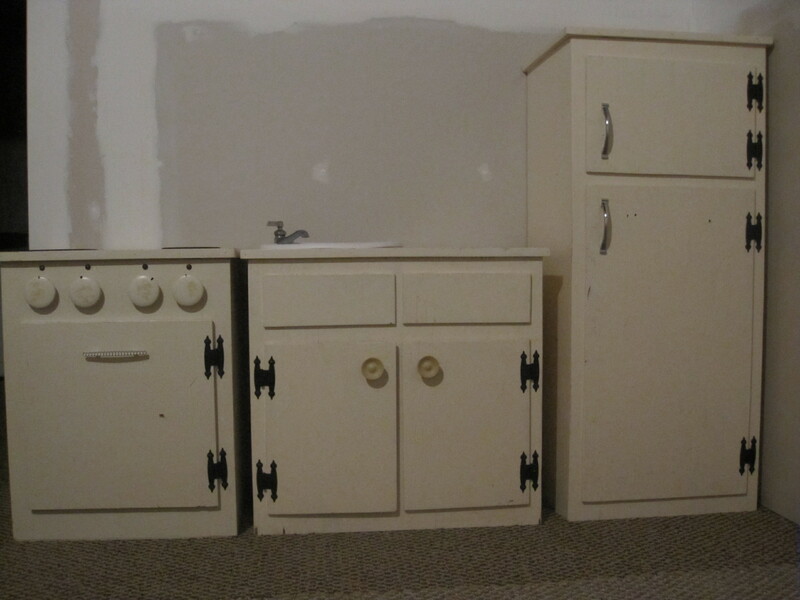 I have had my old handmade wooden kitchen set from when I was little in our unfinished basement for awhile now. Grace is at the age where she really loves going down there and playing with it, but I don’t want to necessarily be bringing the baby in the basement especially during the colder months because it’s not really heated. Even though Grace’s room is pretty small, Aaron came up with a new floor plan to be able to fit everything plus the kitchen sink. 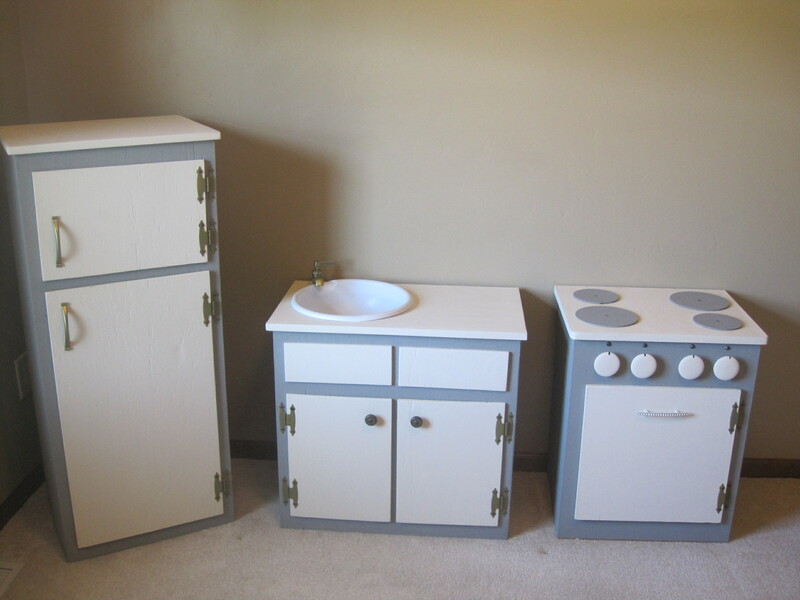 So I decided before moving it upstairs I would repaint it and give it a little face lift. Cost of the project a gallon of paint and a can of spray paint. 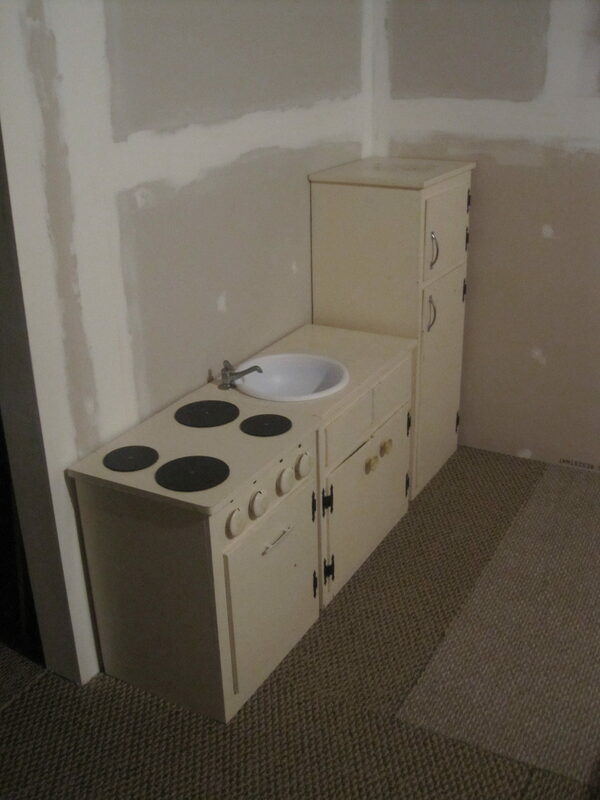 I kept all of the original hardware and just spray painted it gold, with the exception of the plastic knobs on the sink. We had some gold ones laying around from an old project that matched perfectly.